Michael grew up in Brampton Ontario, where he attended high school, before receiving his B.A. in Economics from the University of Western Ontario. He then attended law school at the University of Pittsburgh, where he worked in the Health Law Clinic and the Low Income Tax Clinic. While in Pittsburgh, he began working at a large litigation boutique, on matters ranging from complex class actions to medical malpractice to personal injury cases. Upon graduation, he moved to Florida, and was admitted to the Florida bar in 2006. In Florida, he worked at a prominent litigation firm outside of Orlando, primarily in the areas of personal injury, commercial litigation, professional malpractice and insurance. He gained significant trial experience and a reputation as a tough and tenacious advocate, handling matters at arbitration, trial and on appeal. Within several years, he was representing local doctors, business owners and other prominent residents of the community. Contemporaneously, he was recognized by his peers and achieved the coveted “Peer Reviewed” rating from Martindale Hubbell, a widely respected mark of achievement in the legal profession. Since 2012, he has practiced in Ontario, where his practice has continued to be largely business and commercial litigation based. In that time, he has represented clients before the Superior Court of Justice, Divisional Court, Criminal Injuries Compensation Board, Financial Services Commission of Ontario and Small Claims Court. He has also represented lawyers in disciplinary proceedings before the Law Society of Ontario. 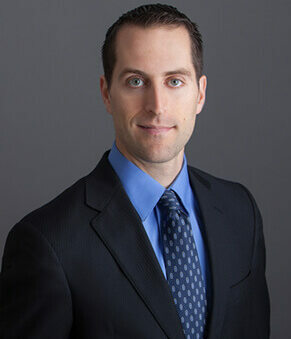 Michael has successfully handled cases ranging into the millions of dollars. Prior to starting his own firm (Michael’s Law Firm), he was litigation counsel for one of Toronto’s largest injury firms. In handling cases, his goal is to get his clients the best possible outcome in the circumstances. This means that he develops his cases as though they are going to trial, and takes a hard nosed approach with opposing counsel. Most of his cases still settle, but on better terms for his clients. When not at the office (or (computer) programming, having recently launched the Courtdoxx automation solution), he is often busy competing at sports. Michael plays hockey and squash several times weekly. In the summers he bikes, and in the winters he ski. In everything, he pushes himself to his limits. Achieved a significant financial settlement in a professional negligence matter resulting in chronic pain and psychological issues. Case confidential. Extracted a plaintiff from a case on an adverse summary judgment, at hearing, on a without costs basis. Savo et al. v. Moursalien, 2016 ONSC 4677 (unreported). Successfully defended against a summary judgment motion brought by Zuber and Company on a multi-million dollar personal injury claim. Simpson et al. v. Forsythe et al., Toronto 07-CV-342124 PD2. Successfully drafted the appeal in 1422253 Ontario Limited v. Coachman Insurance Co., 2013 ONSC 5740. Awarded Partial Indemnity Fees at an hourly rate of $400.00 per hour on a contested motion before the Honourable Justice Reilly (2013). Hoang v. State Farm Mutual Automobile Insurance Company, Kitchener, C-565-10. Trial Prep and Trials – A Fingertip Reference (2018), published as Chapter 3, in The Oatley-McLeish Guide to Personal Injury Practice in Motor Vehicle Cases 2018. Discovery in Ontario: A Quick Reference Guide (2015). Court of Appeal decision has bizarre implications for insurance law, September 17, 2018, The Lawyer’s Daily. Videotaping Independent Medical Examinations, December 3, 2014. Rated as BV® Distinguished™ by Martindale-Hubbell (Florida). Note case was argued at hearing by a colleague. Note case was argued at hearing by Chris Richard.